across all channels has permanently shifted the dynamics of the sector. But while it’s easy to focus attention on the technology itself, the impact the digital transition is having on people is often overlooked. To succeed in this new world it’s all about the team and teamwork, but more than that it’s about attracting and retaining the very best digital talent and using emerging technology to unleash their potential within your organisation. 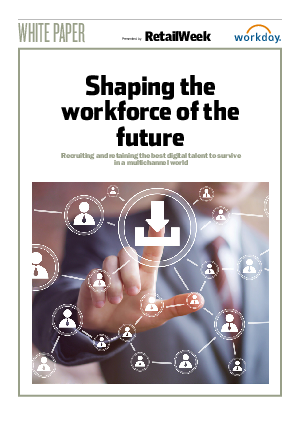 This white paper will explain what retailers must do to ensure they’re recruiting and retaining the top digital talent and explore the role mobile technology will play in shaping the workforce of the future.